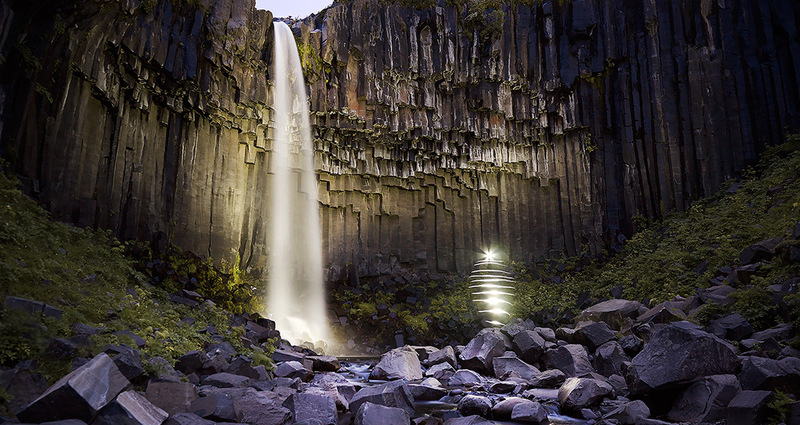 Light Painting and Landscape Photography: Svartifoss, Iceland. Svartifoss (Black Fall) is a waterfall in Skaftafell National Park in Iceland. It is surrounded by dark lava columns, which give rise to its name. The hexagonal columns were formed inside a lava flow which cooled extremely slowly, giving rise to crystallization.